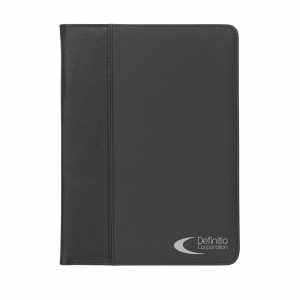 A5 zipped folder with edge trim. 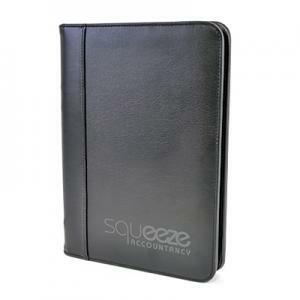 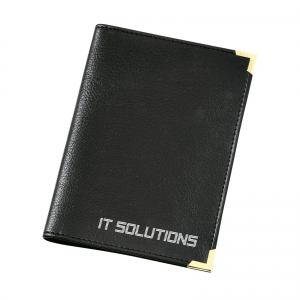 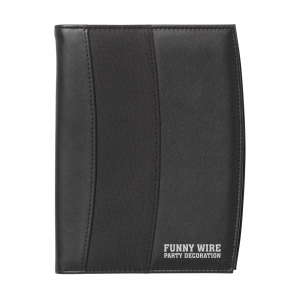 Includes pen loop, elasticated flash drive holder and plastic window for holding business cards. 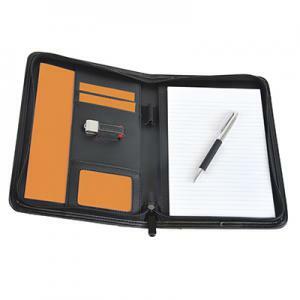 To order an unprinted Dromore A5 Zipped folder, please complete the details below.